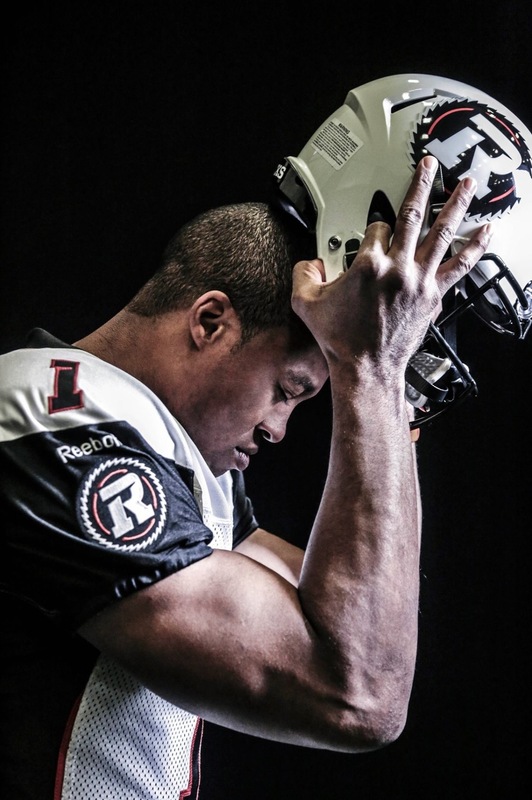 Today we sit down with Kerry Joseph, a former QB for the Ottawa Renegades. 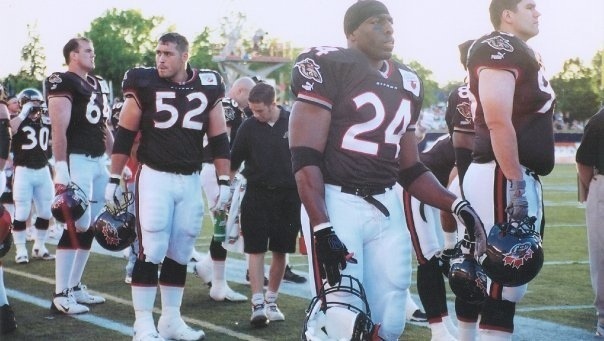 Joseph, a former safety for the NFL’s Seattle Seahawks, broke into the CFL with the Renegades in 2003 and dazzled Ottawa with his talents until the team folded after the 2005 season. 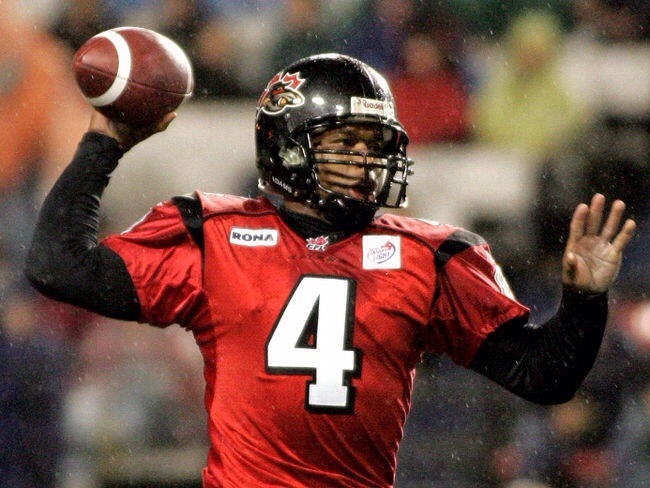 Currently a free agent, Joseph is the last QB to rush for 1,000 yards in a season, which he did for the Renegades in 2005, and holds the Ottawa pro football record for most consecutive games with a touchdown pass (15) – a record previously held by Russ Jackson. RR: As an American coming to Canada, what was your initial impression of Ottawa? KJ: I was really impressed with Ottawa, at first I thought it would be a really cold foreign country but it was actually a very beautiful place. How difficult was it for you to make the transition from playing safety to quarterback? It was actually a very easy transition for me because I grew up playing QB. What do you feel was your best game as a Renegade? I would have to say the game against Montreal in 2005, we were down big but came from behind to win in overtime. The Gliebermans are often criticized for running the Renegades with a circus-like atmosphere. Did any of that trickle down to the players and do you feel they caused unnecessary distractions for the team? They didn’t do everything perfectly but it was never a distraction for the players, we just wanted to win. I didn’t know where I would end up and players were definitely worried as we all knew our careers would be changed. Looking back on your time in Ottawa, what sticks with you? The great community and the great time I had with my coaches and teammates. What motivated you throughout your career? The quest to win a championship and to be a great QB. What’s the best advice you ever received as a player? The best advice I ever received was to stay humble, stay hungry and to stay focused. The CFL is famous for it’s wild weather, how did you deal with the elements as QB? I always just tried to prepare for it as best as possible and otherwise ignore it, we had to play in it anyways. All QBs get sacked throughout their careers but is there one hit that you’ll always remember? I got knocked out in Calgary by one of their Defensive Ends. Which receiver that you played with had the best hands? What was your favourite play to run? A pass play called Pearl, 3 seams to the wide side of the field. You’ve played on a number of CFL teams, what stadium is the toughest to play at? Do you still keep in touch with any of the guys you played with on the Renegades? Yes, I stay in touch with quite a few of them. Looking back at your CFL career, what are you most proud of? Being part of the 2007 Grey Cup Champs. 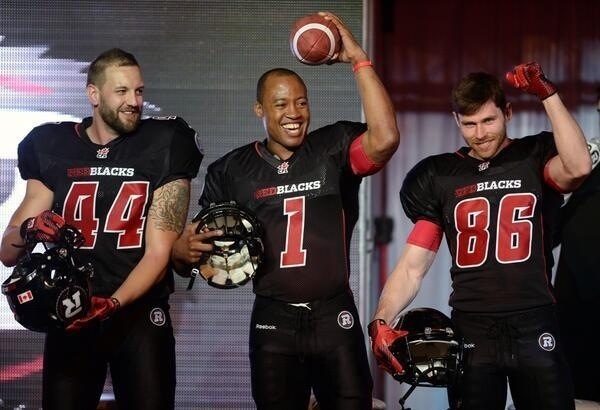 When you first heard the name Redblacks, what was your reaction? I was mainly wondering where the name came from. Why do you think football in Ottawa will succeed this time around? They’ve got a great local ownership group. 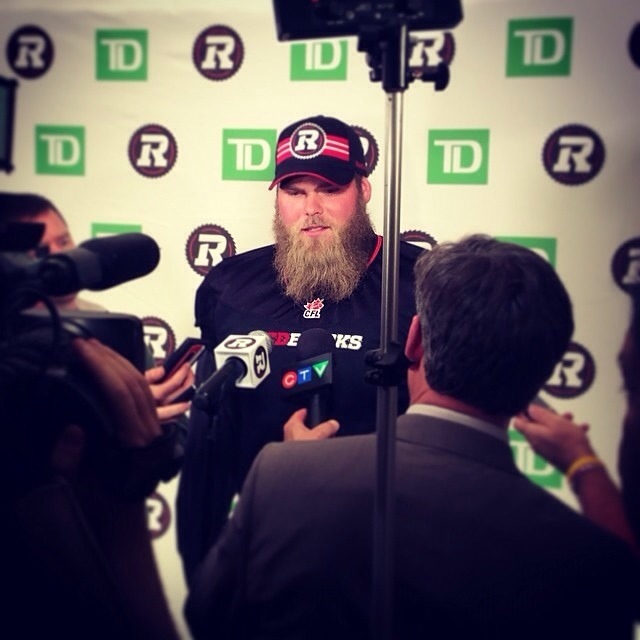 Do you think the Redblacks will be competitive in their inaugural season? Yes I think so, they’ve got the players to be competitive. Now that you are a free agent, what are your future plans? Have you retired, will you get into coaching, etc? Actually I haven’t officially announced my retirement from Pro Football. Some people had taken it upon themselves to announce that for me, but I haven’t said that myself. That being said, at some point in time I definitely see coaching in my future. Thank you very much for your time Kerry, best of luck in your future endeavours and we hope to see you at a Redblacks game sometime! In all seriousness though, while it would’ve been fun to watch Lavertu blossom into a starter and pancake guys for the next decade, Gott addresses an immediate need and will start from Day One. 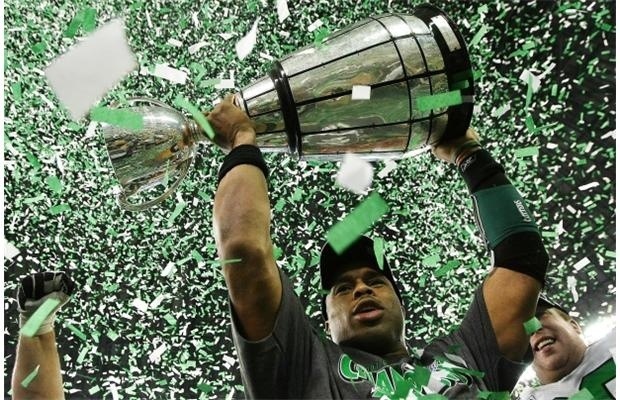 He’s an experienced all-star with a number of playoff games (including a Grey Cup win) under his belt. Not to mention he’s got the best beard in the league. Also for those worried about Hage getting traded back to the Ticats and suddenly unretiring, we’d at least get a conditional pick from the Stamps. It’s interesting to note that Gott was in Ottawa during the draft, which may mean that this deal was done days ago. The RedBlacks Jon Gott is at the Marriott in Ottawa so deal was done days ago. Desjardins doesn’t let things leak! While R-Nation was settling in to wait for the second round Desjardins got rid of a major headache and traded back into the 1st round by dealing QB Kevin Glenn to BC for the Lions’ #5 overall pick. Now #Redblacks flip 5th pick to MTL for 4th??? #CFLDraft #madness! That pick and the 10th overall selection were promptly flipped to the Montréal Alouettes for the 4th (and 13th) pick, which was used to select DB Antoine Pruneau. Pruneau was the top ranked DB in the draft and thought by some to be the best all-around football player available. 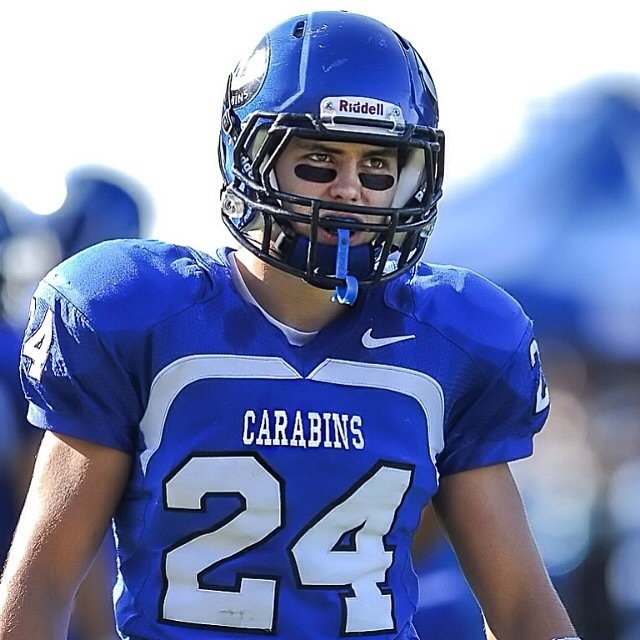 He immediately improves Ottawa’s secondary as he’s an effective player who can play safety or corner. Managing to trade back into the 1st round at the cost of a disgruntled backup QB can’t be seen as anything other than a coup by Desjardins. I can’t wait to hear R-Nation give Glenn the welcome he deserves when the Lions visit TD Place. See ya soon Glenn! At least we’ll always have the expansion draft! 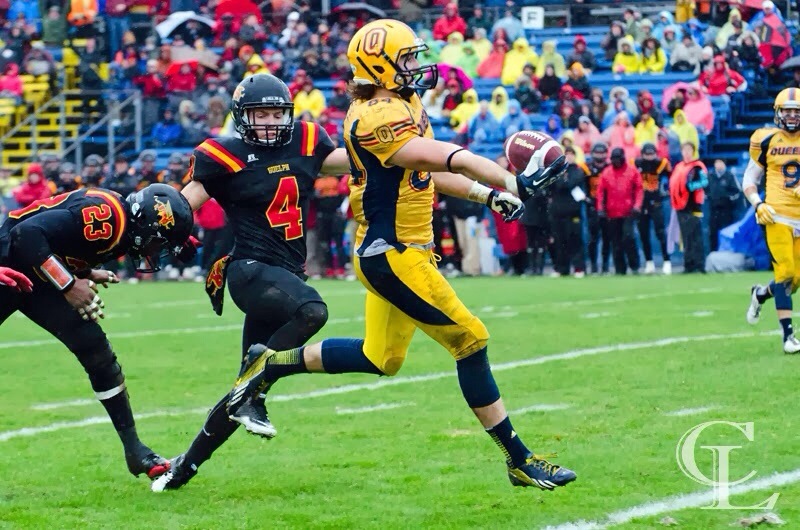 – With the 13th pick, the Redblacks selected WR Scott MacDonell, a 6 foot 5 inch 230 pound playmaker. He figures to be a depth player at this point but could blossom into a serious threat. – At 23rd overall the Redblacks took DL Nigel Romick. At 6’5″, weighing 242 pounds and running a 4.72 in the 40 yard dash he figures to be a key special teamer. 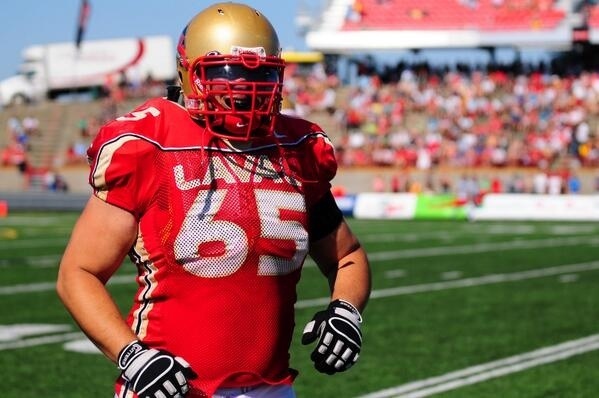 – Redblacks finally drafted a Laval OL at 37, only he was named Hugo Desmarais (6’6″, 305 pounds) and not Lavertu. 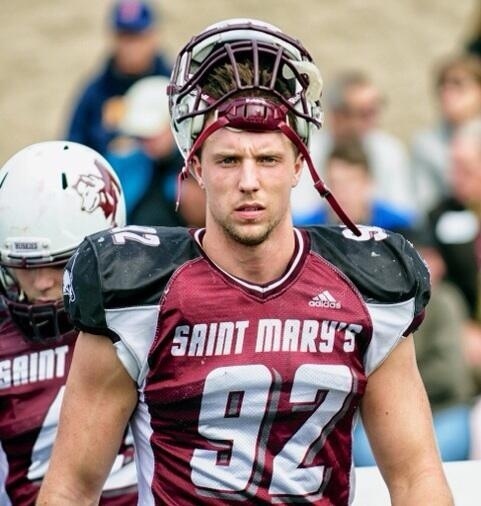 To sum up, the Redblacks made a real splash in their first-ever CFL Canadian Draft, with three trades in the first round, adding an all-star in Gott and a blue-chip prospect in Pruneau who can step in and play meaningful snaps right away. At the same time Desjardins was able to flip depreciating assets Hage and Glenn for a positive return. 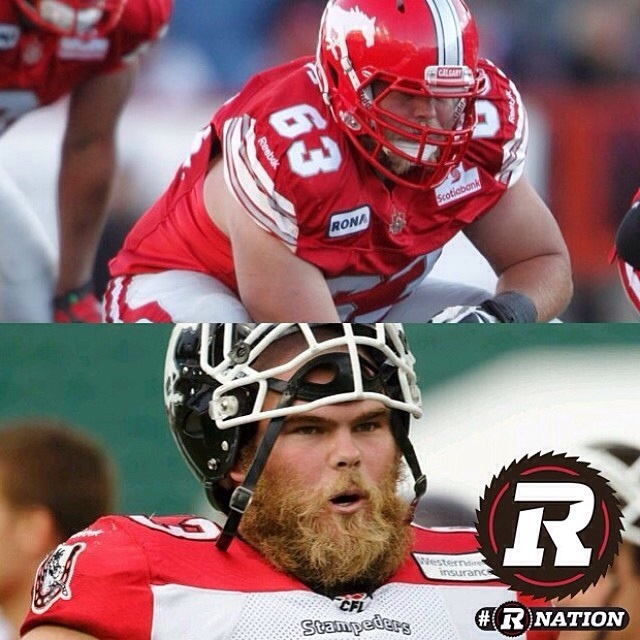 The Redblacks draft focused on the trenches as they needed to build Canadian depth. And while they can’t sit comfortably yet, they’ve put in place a solid foundation. 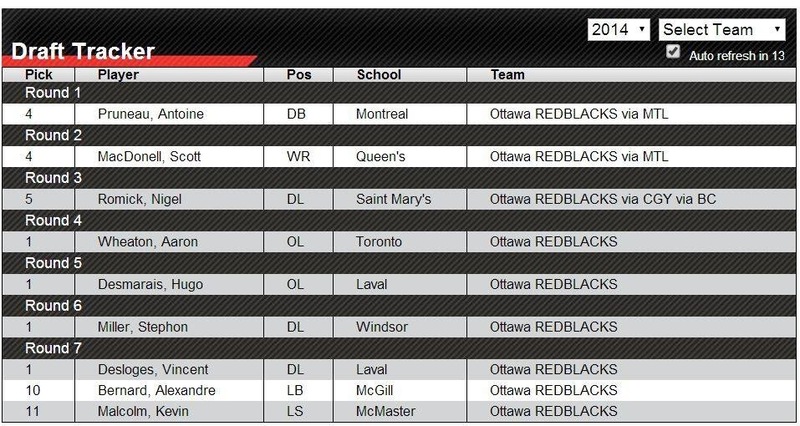 In addition to today’s trades and picks, it’s worth remembering that the Redblacks participated in the CFL’s 2013 draft, selecting four Canadian NCAA redshirt juniors (i.e. players still having a year of NCAA eligibility remaining) at the end of each of the first four rounds. With those picks the Redblacks selected Nolan MacMillan (OL), Connor “The Barbarian” Williams (DE), Kalonji Kashama (DE) and Tyler Digby (TE). These players are now all available to join the Redblacks for their inaugural training camp at the start of next month, though they may not all be there. The true wildcard of this group though is Vancouver Stealth’s lacrosse forward Tyler Digby. Since being drafted by the Redblacks, Digby was selected 20th overall in the National Lacrosse League draft and has enjoyed an impressive rookie season, scoring 22 goals and 58 points in 18 games. The Stealth are expecting Digby back next year and it’s not known if the Redblacks would be willing to let him be to a two-sport athlete. Things get even more complicated when you factor in that Digby’s natural position is TE, one rarely used by most CFL teams. As training camp draws near, the Redblacks are better now than they were yesterday and if they can get one or two of their 2013 picks signed in time for camp it would be the cherry on top of a successful 2014 draft. 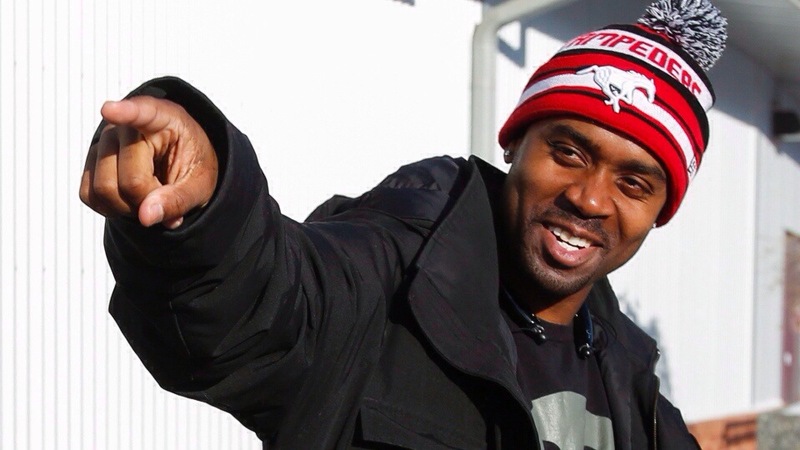 Today we sit down with Ottawa native and former Rough Rider and Renegade RB Darren Joseph. 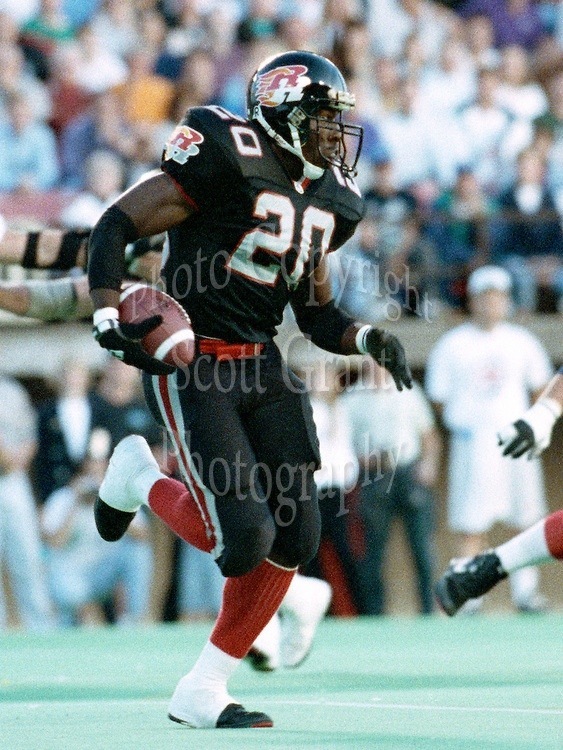 Joseph’s distinguished career spanned six teams and thirteen seasons (1992-2004) and he still holds the CFL record for most special teams tackles in a game (7). 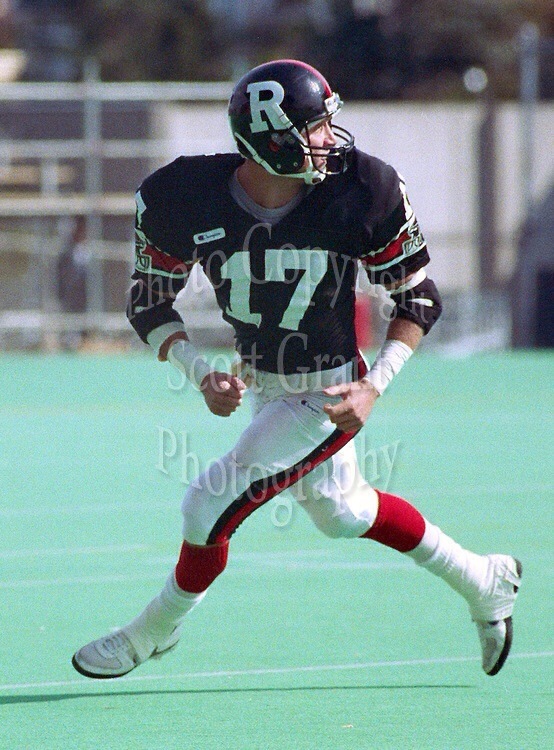 RR: During your career you had two stints in Ottawa, one with the Rough Riders and one with the Renegades, was one more enjoyable than the other? DJ: Absolutely, though both were memorable. 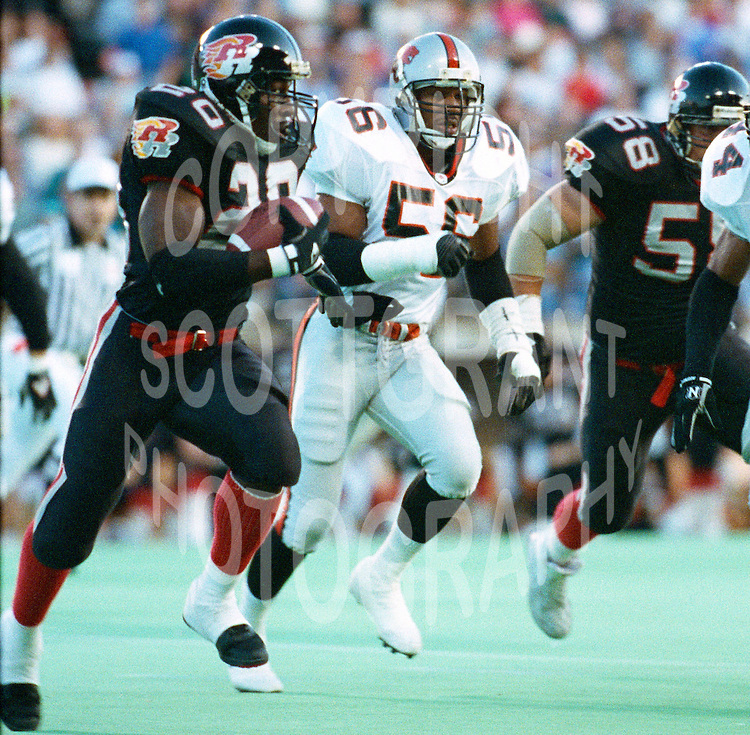 I was 22 years old during my rookie season in ’92 and I was playing in my hometown for my dream team the Ottawa Rough Riders. That was HUGE for me and especially for my mom who had been a Rider fan since the early 60’s when she first came to Canada from St. Lucia. Because of that I’d have to say my first tour of duty was the best! While you were an Ottawa Rough Rider the team changed it’s uniforms a few times, which one did you prefer? My favourite uniform was the first one I ever wore for the Rough Riders, with the flaming double R’s on the helmet. The complete opposite of that was the gold red and blue uniform of ’94-95, easily the WORST uniform I ever wore in any sport, at any level. 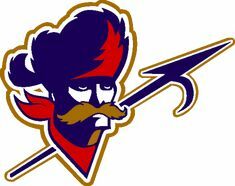 Don’t even get me started on that ridiculous Captain Crunch logo…. 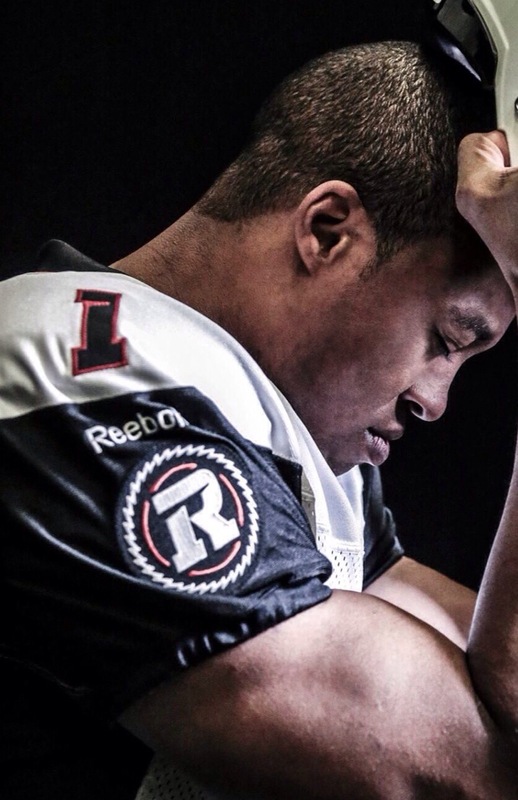 What advice would you give to the Redblacks players who have never been to Ottawa before? My advice to new players would be to try to stay focused here during the season. Ottawa is a beautiful city with lots if distractions for a young football player. I’ve seen several careers disintegrate, especially in the “Hull” days. Have fun and enjoy your time here but stay focused. What was the hardest hit you ever took? Hardest hit HANDS DOWN was by Alondra Johnson in Calgary in ’98. I’d been having some success a few games in a row on a search play where I would cut back on the defence for long gains. AJ was watching film and decided that wasn’t going to happen to him. He hit me so hard my chinstrap unbuckled and flew 5 yards in the opposite direction, my body went through a complete change in momentum. He was a the hammer that day. I didn’t like playing at Ivor Wynne. The visitors locker room was old and beat up, the turf was like concrete and the tiger at centre field was hard dried paint. If you got tackled on it you left several layers of skin behind when you got up. The fans were relentless, the stands were almost field level and they were right on top of you in that “dugout” of a sideline and they chirped you from kickoff to the last whistle without let up. Also you had to pray that it didn’t snow late in the season because if it did you could expect a few snowballs in the face. They were great fans, just not when you played for the opposition! Favourite Lansdowne memory has to be a 2003 game against the Argos when I had 7 special teams tackles and we won the game. 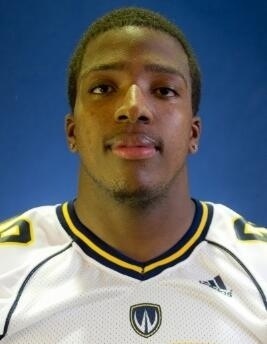 I tied a CFL record and I was 36 yrs old at the time so for me that was a big deal. I would have to say I’m most proud of the fact that I survived 13 yrs as a RB/FB. I was able to attend 14 training camps and no matter how many guys they brought in to compete with me for a spot on the roster, I always made the team. I’m also proud that 2 of my 3 kids got to see me play. Lastly the biggest thing I’m proud of is that I made my mom proud. She was my biggest fan and she taped EVERY game I played during my 13-year career, seriously, she didn’t miss one! What was your initial reaction when you heard the name of the new team? Honestly, I wasn’t crazy about the name at first. Keep in mind I played for the other two Ottawa franchises so this is a 3rd name change but it works for me now. I’m just happy that we have CFL football back in Ottawa, the wait is finally OVER!!!! 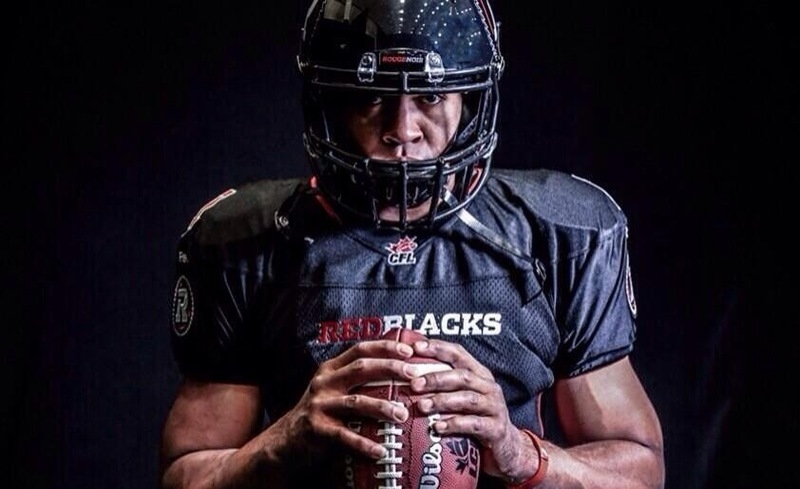 Will you be going to any Redblacks games this season? Yes I plan to get to as many games as I can and I’m excited for my kids who haven’t been able to experience having a team of their own like I did growing up. Why do you think the Redblacks will be successful where the Rough Riders and Renegades have failed? For me, it’s simple, it comes down to ownership. Jeff Hunt and the OSEG group have shown a commitment to the city, not just football fans. They have committed to ALL OF US and we haven’t had that since the Russ Jackson days. No more fair-weather owners, hit and run people with no proven track record, these guys understand that this is a marathon, not a sprint. They have also started by building around not one but THREE quality QB’s, which is a great start. I also like how they understand that bringing local talent home like John Delahunt will bond the team with the community, like they do in Regina, that’s huge. Maybe the most important question of them all, North Side or South Side? South Side, I’m old school. I have been an Ottawa Police Officer for 10 years now. I started coaching in 2002 with the Ottawa Sooners and still coach today with the GS Raiders as a position coach. I also still do football camps with the Elite Performance Academy founded by former CFL players Pat Woodcock and Donnie Ruiz. Any young aspiring athletes looking for a place to train with former pros who can help them get to the next level should give EPA a look. 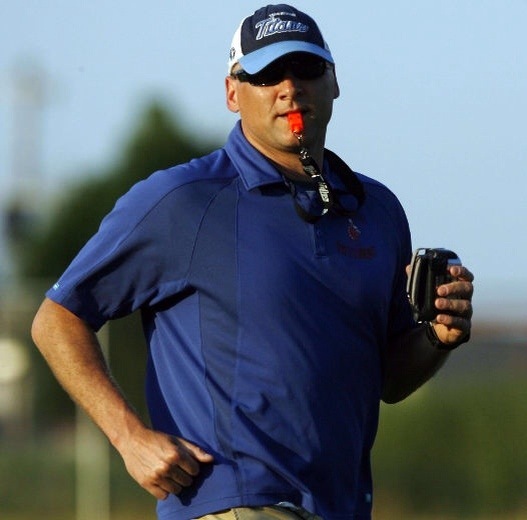 In terms of coaching in the CFL, I am so busy as a police officer doing shift work that it would be tough to be 100% committed to coaching at that level. CFL coaches work hard and put in very long days and unfortunately at this stage in my career, I just couldn’t make that kind of commitment. I do keep in touch with several of my former teammates and ironically, many players from opposing teams, the CFL is like a fraternity and we’re all family. It’s nice to see guys that played for $30k a year prosper after their careers and see their families grow. The list is too many to name but I still talk to Reggie Barnes, Patrick Wayne, Brian Bonner, Daved Bennefield, Glen Kulka and Ken Evraire, I also work with DeWayne Knight, Brad Tierney, Jason Mallett and Sammie Brennan….I guess that is kind of a list isn’t it? I’ve also got a special place for Kelly Wiltshire, Andre Kirwan and Andrew Henry, who were the first ones to attend my mother’s funeral in December. When Kirwan heard that my mom passed and he was on a plane from Tampa 30 min later, that’s a true friend. 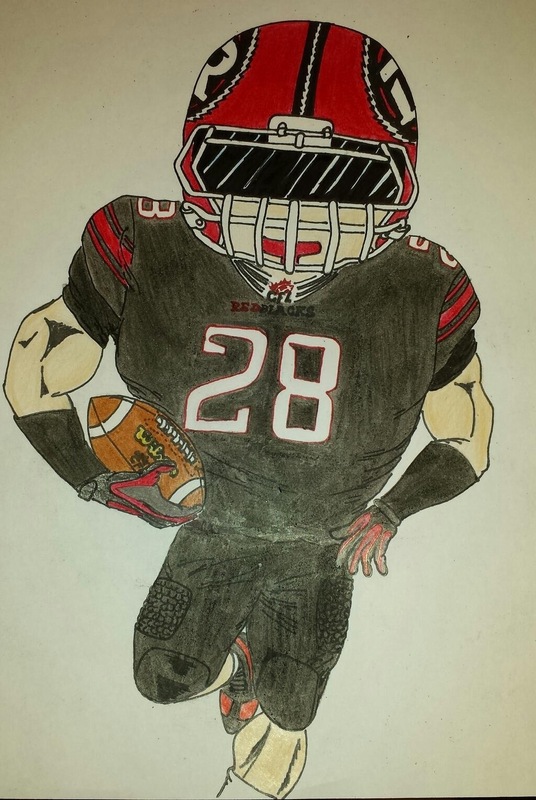 While the large majority are giving the Ottawa Redblacks two enthusiastic thumbs up for their new uniforms, even some of the most loyal Ottawa CFL fans have their gripes. 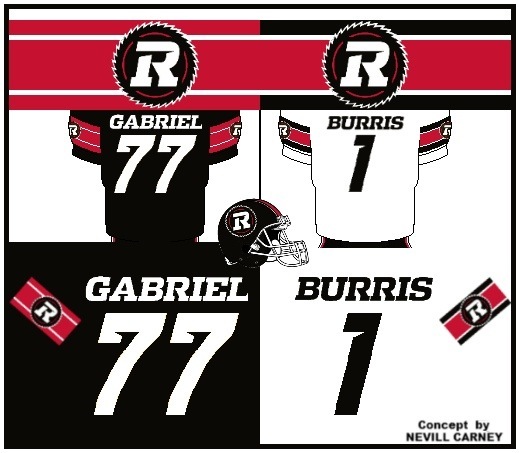 The following comes from Nevill Carney, he of some great Redblacks jerseys concepts and one of the dudes behind the Redblacks Theme Song. Nevill left the following in the comment section of this post and allowed us to re-post here, for your consideration. Our comments are captured in bold. I was looking forward to this unveiling since the name and logo were unveiled a year ago. I cannot describe how bland these look! My heart literally sank as the first pics of the road jersey were released. My first thought: “where is the RED? !” Then, when the home jerseys came out, I was at least happy about them being black. No doubt the lack of red was surprising. More on that later. Pretty common for a football jersey, since the number is such a prominent part of the design. – Lack of arm striping. 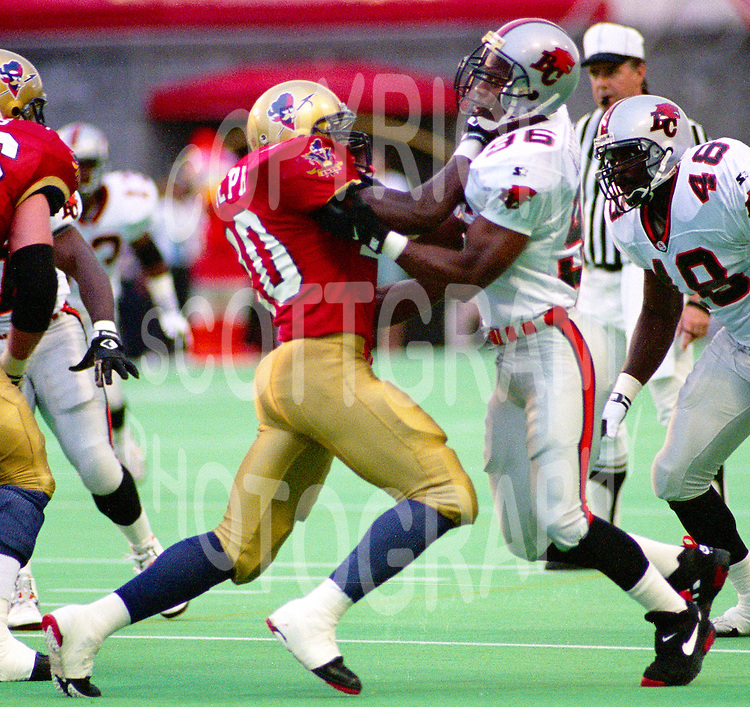 For OSEG, who wanted to link to the past Rough Rider teams, I really thought they would have some striping on the arms. The concepts that I had designed a while back were my hopes of what to see. Above is Nevill’s last concept. Really sharp, I thought. Great vintage look. I was also surprised at the lack of striping, although the white jersey does have the more modern take on striping with the black trim on the shoulders & extending all the way down the sides. – Away uniform is depressing. It looks like a recoloring of Saskatchewan’s current road whites. Weren’t we trying to get as far away from what the GreenRiders were doing? I despise the white helmet. Stick with ONE black helmet for both uniforms. Establishing your brand in year one is VITAL. Look at the NFL teams; how many have multiple helmets? In fairness, there are only so many jersey templates a team can use and those are likely determined by Reebok. 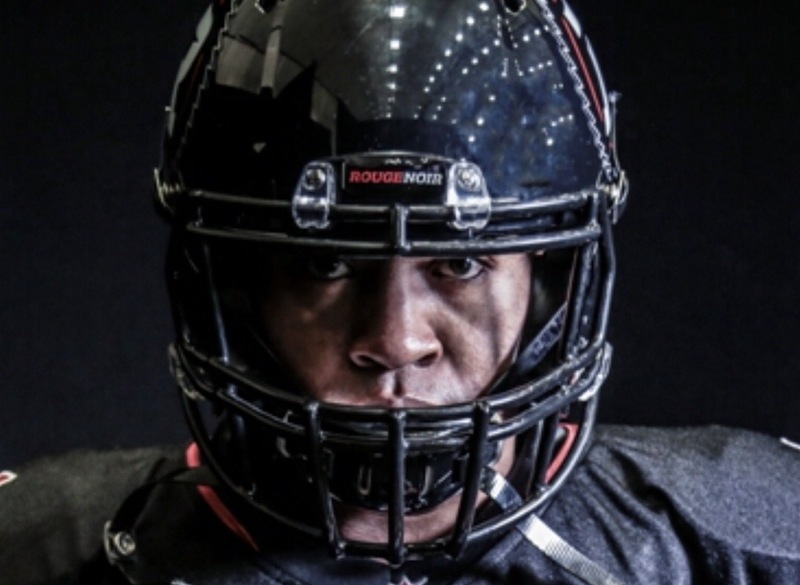 As for multiple helmets, I personally love it as a concept and love how the Redblacks white helmet looks. I have heard the ‘stick with one helmet’ argument a couple times over the last few days, but don’t really get it. If a team can have 3 jerseys, no reason you can’t have multiple helmets. Baseball teams have different home/away/alternate hats, hockey teams often have different home/away helmets. Why not football? Odd side note: last year, every West team in the CFL had an alternate helmet (SSK actually had 2). None of the East teams did. 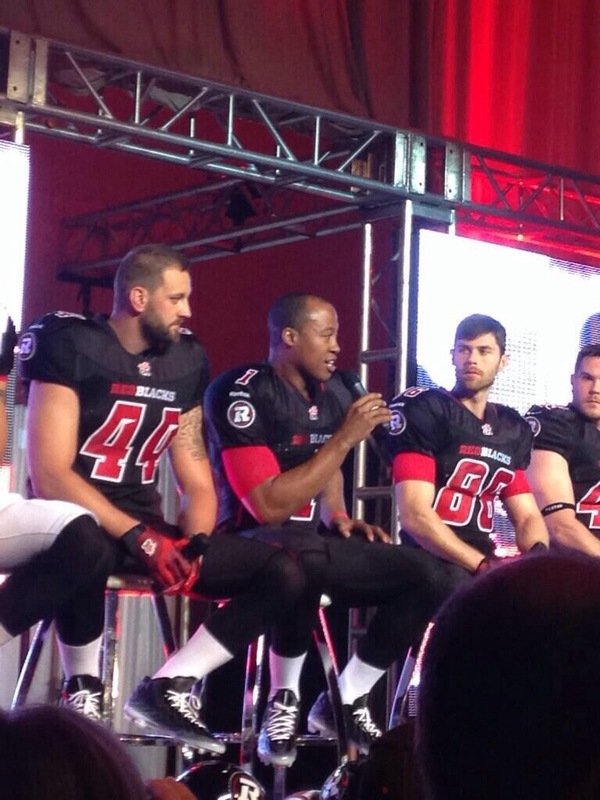 – REDBLACKS plastered under the collar and above the front numbers. For OSEG, a business that has claimed to be supportive of both official languages since Day 1, this was a huge mistake. It now makes the English name of the team dominant over the French. I realize that they have “Rouge et Noir” on the front bumper of the helmet, but fans will not be buying the helmet. In order to offset this, they should have replaced it with “Ottawa.” The Renegades did this and it looked great. Good point. 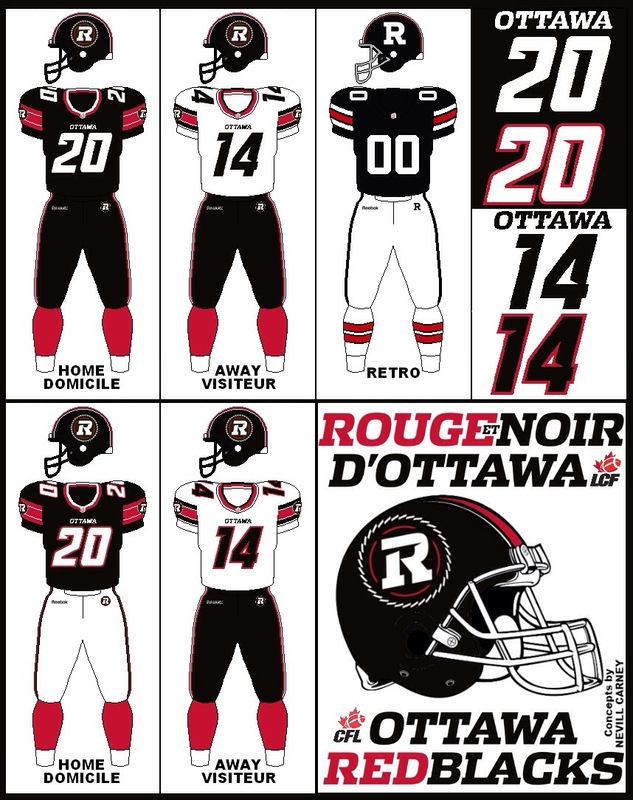 Could have gone with OTTAWA on the front of both jerseys, or otherwise have REDBLACKS on one and ROUGE ET NOIR on the other. The bumper is a neat feature but also seems like a bit of an afterthought. – Sawblade logo on both arms. Nailed it. I was hoping for this and bam. Likely the main reason why I will be buying a home jersey rather than settling on a t-shirt to wear to games. – Black home jersey/black helmet. Traditional; enough said. – I would have really liked it if the Redblacks took a page from Fury FC and presented options of uniforms for the fans to vote on. This would have made the fans feel included (unlike the choosing of the team name fiasco from last year) and important enough to have a say with where the franchise is headed. 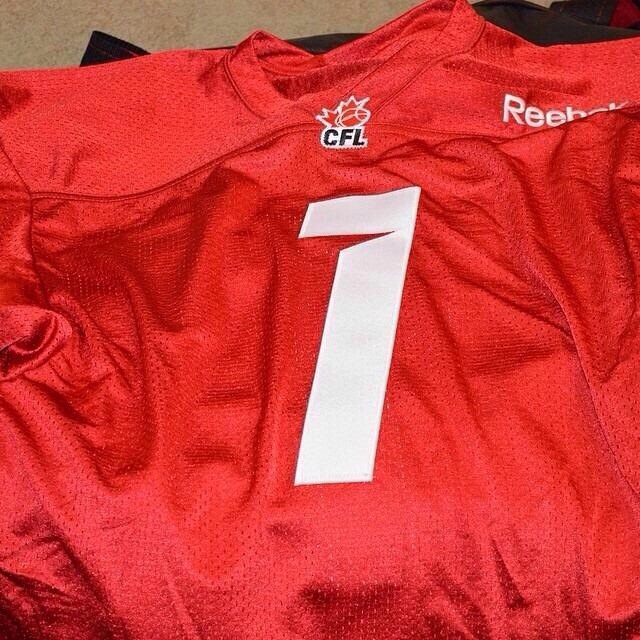 In fairness to OSEG, the ‘Name Our Teams’ campaign wasn’t actually a contest. I am on the fence with getting one of these but I will for the sake of supporting the team (the home not the terrible away jersey). We have a so-so name, a terrific logo and now a “meh” set of uniforms. 1.5/3 for overall branding at this stage from this season ticket holder’s opinion. I can only hope that we have a retro design come to pass and become our regular set. 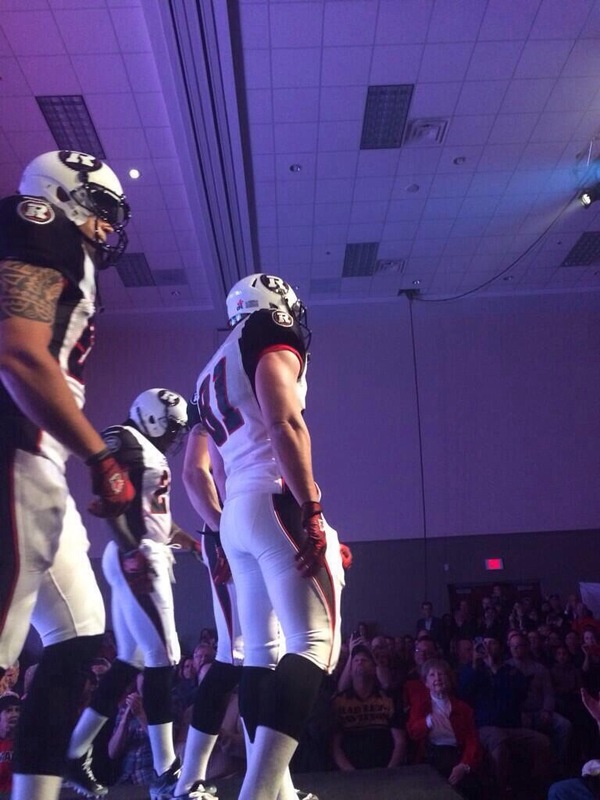 Regardless, I’m stoked for kickoff and to have Ottawa return to the CFL regardless of what they are wearing. Go Ottawa! For an expansion franchise, the uniform unveiling is pretty much the last major milestone before the games begin. 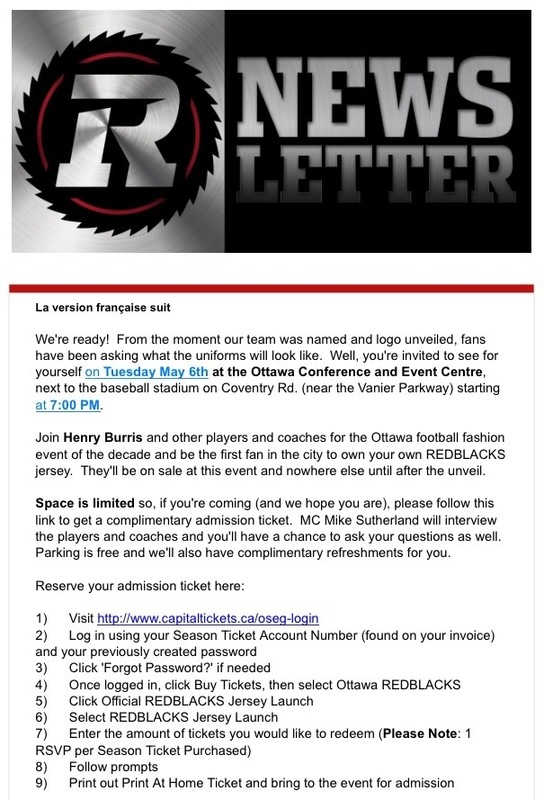 And the Ottawa Redblacks did their unveiling in style, in front of 1,200 season ticket holders at the Ottawa Conference And Event Centre on Tuesday night. We weren’t able to be there in person, but #RNation did a great job bringing us there. Thanks to everyone for the providing the photos below. Hope to eventually source them all properly. – Very cool that we have different home & away helmets. The traditional black looks great, but I love the white! 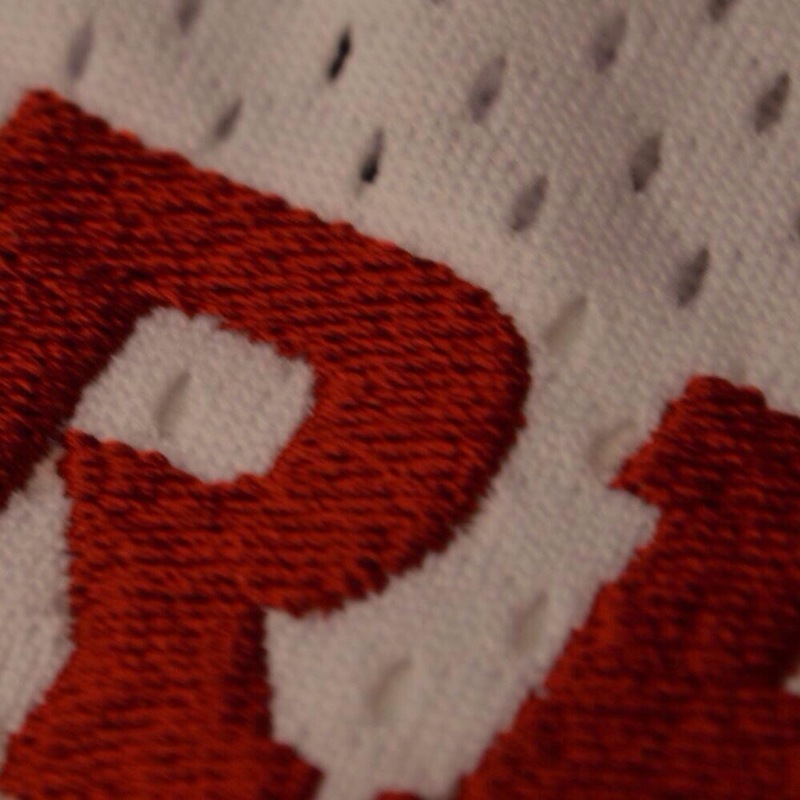 – Jersey number font is the same style as we saw at mini-camp, but with an outline. The outline looks fine, but I think I could have worked just as well without a stroke. – Interesting choice to have red numbers with a white stroke on the home jersey, rather than the opposite. Makes for an overall darker look. Not a bad thing. – Interesting choice of font for player names. Again, thought they would go with something simpler to balance off the buzz saw-style numbering. But it isn’t too much either. Not my first choice, but it works. – Would have thought red socks and some red shoulder striping for the home uniform, but again, I don’t mind the ‘black out’ look either. 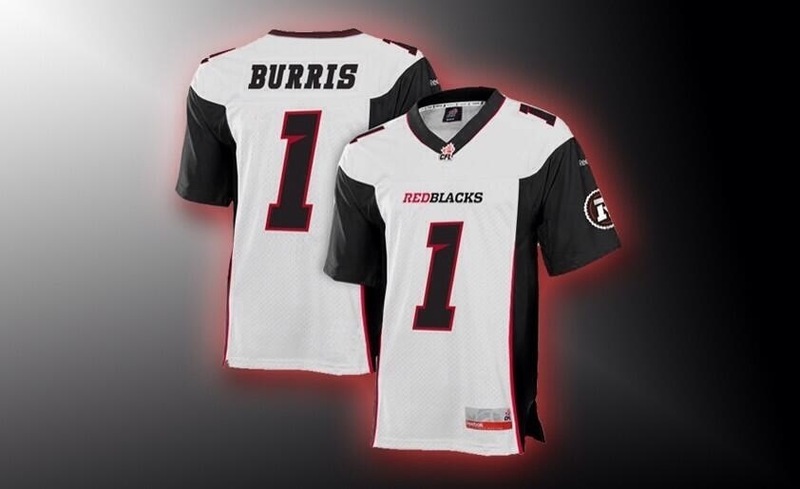 – The ‘Redblacks’ word mark on the front of the jersey looks a little bigger than what we normally see on a football jersey (though not Montreal big). 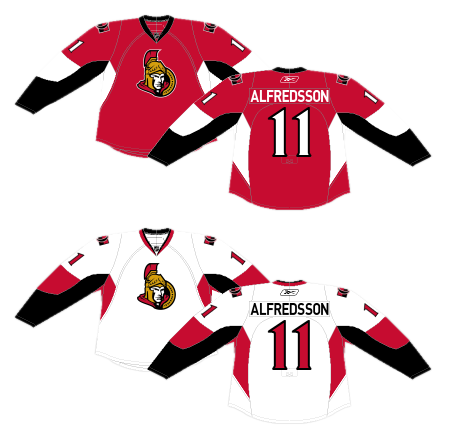 Also, I would have liked to see one of the jerseys with the ‘Ottawa’ word mark. – While I’m really not a fan of the ‘flashes’ under the arm on the Sens home & away jerseys, I like the black trim on the Redblacks whites. Especially that it extends to the shoulders. Works very well. Strong look. 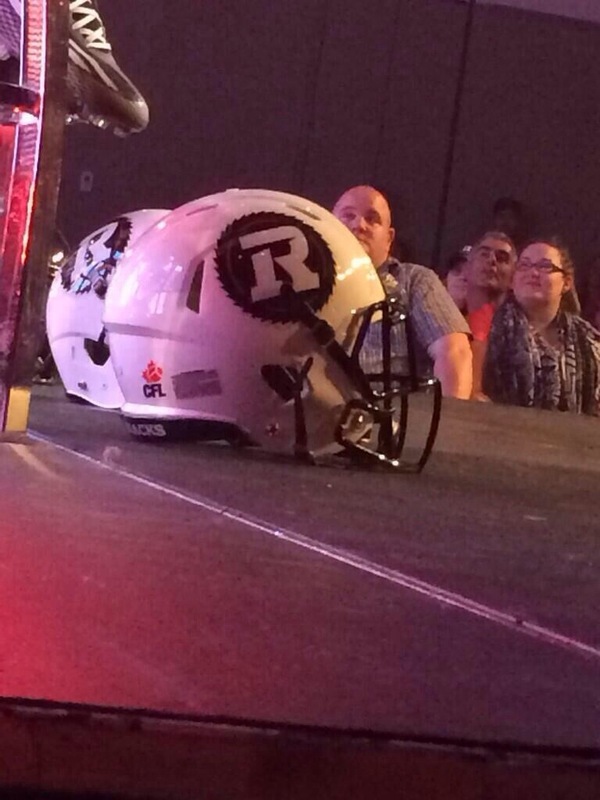 – As expected, the entire saw blade Redblacks logo was used on the helmets, as opposed to the R on its own. It looks really good. Perhaps we’ll see the R on its own after a few years? – Nice looking black striping down the side of the white pant. Completes the white jersey nicely. – Do we think the black jersey with white pants will work well? Not sure, given the striping on the pants. TBD. Overall, a great first set of jerseys. Folks worried about plaid design can rest easy. While OSEG opted for a more modern style, they also kept things generally simple. A happy median. For those who we’re hoping for a red jersey, don’t forget what owner Jeff Hunt had to say a few weeks ago. Don’t think we’ll be waiting too long. An exciting day, filled with anticipation. As much fun as it was to speculate these last several months, the final product did not disappoint. A great looking uniform. Looking forward to picking up one of each jersey in the very near future. 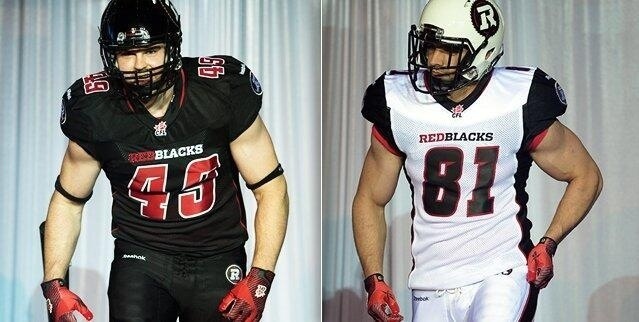 One final thought: Props to the Redblacks for keeping the new uniform designs completely under wraps. Not a single leak, none of the rumours out there about plaid accents were even close to true and not a single jersey concept was really close to the final product. Nicely done! 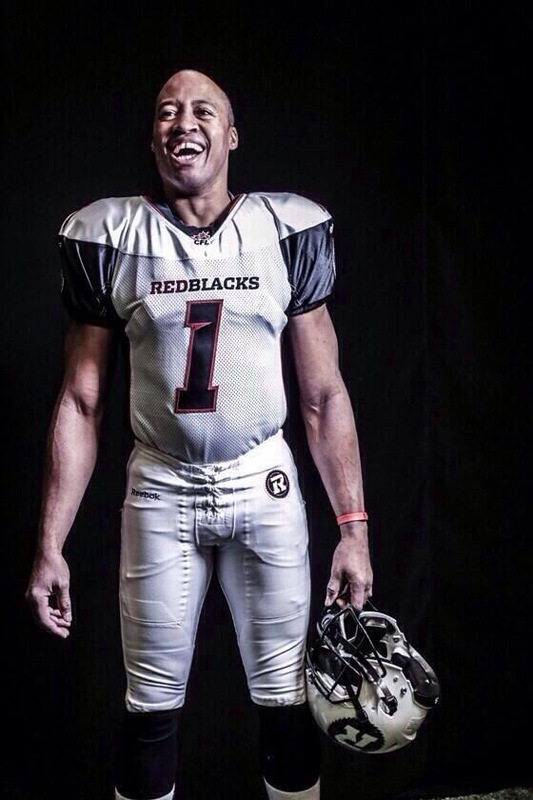 Appears to be the R in the Redblacks wordmark, which most teams place below the CFL crest on the front of the jersey. 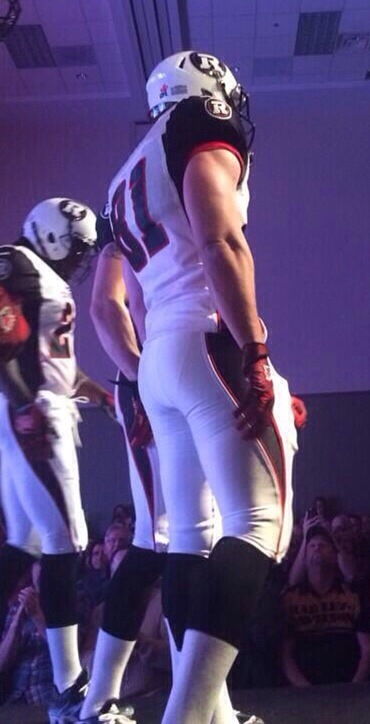 Also, seems likely that this is the road jersey, as the background is white. Appears to be another shot of the road (white) jersey. 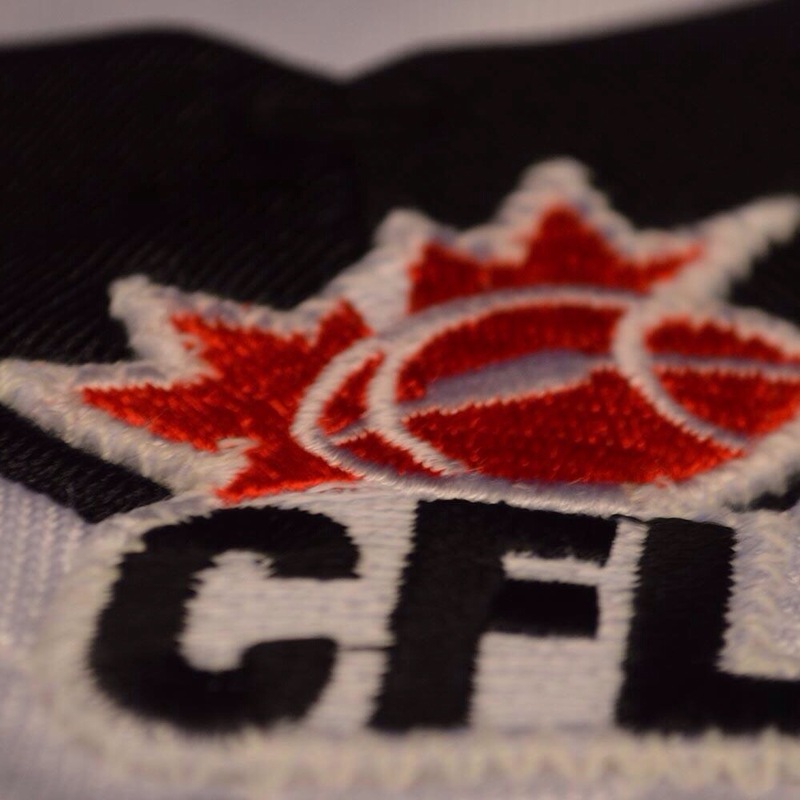 This time, showing the CFL crest stitched into the base of a black collar. Based on the limited amount we see here, it doesn’t look like OSEG have overdone it, opting for a simpler, more traditional look that fans seem to be clamouring for. I guess we will know for sure on Tuesday evening. That reminds me: if you are attending tomorrow night’s unveiling, please tweet us lots of photos. So we have a date and a time. #RNation is pumped. So is WR Kierrie Johnson. Now all that’s left is to wait… and check out a few more concepts! I wanted to create a look that I would want to wear and be proud to wear. 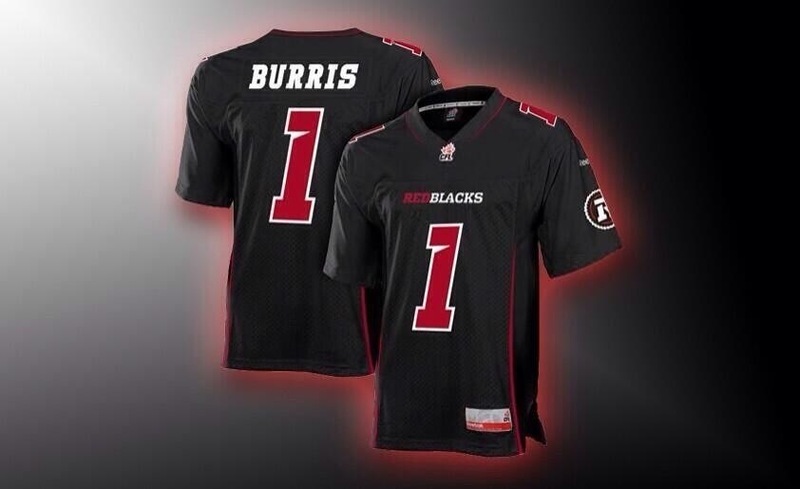 I based them off of what he have seen on various Redblacks merchandise, like the hat that Henry Burris is wearing for the home opener ticket pack, was the inspiration for the arm stripes on the black home jersey. The numbers were based off the ones that were worn by the players for the mini-camp in Virginia. I included two versions with the numbers on the jerseys: one color number and one with an outline. 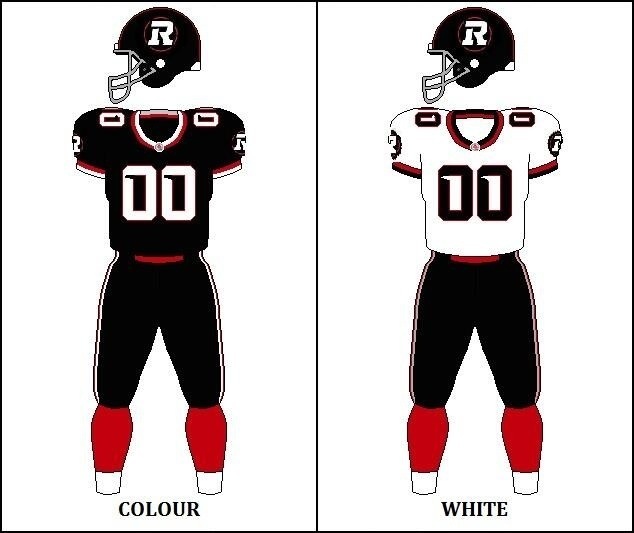 Depending on which era of Ottawa football history you are looking at, the numbers varied in design after the 80s with a red outline included and that continued through to the end of the Renegades. Be sure to check out the other concepts we’ve come across here and here. And here‘s a reminder of what the mini-camp jerseys looked like. So, will they go with red or black for the home jersey? A traditional look or something original? And what about the helmet – classic black or break with tradition and go with red? We’ll know in just a few days, but what are you hoping for?